We are The Equalizer, the leading women's soccer news and analysis outlet in the United States since 2009. This is our podcast, where top journalists and personalities from throughout the women's game gather for critical, thoughtful and fun discussion. NWSL Week 2 is in the books, and we've got an all-timer already. Chicago and Portland drew 4-4 in a wild match that said many things (and sometimes very little) about two heavy NWSL hitters. This week also featured two 1-0 score-lines, the first favoring the Houston Dash over Sky Blue, the second finding the Utah Royals in victory over the Washington Spirit. And finally, Reign FC drew the Orlando Pride 1-1 (a good result for the Pride after a 5-0 thrashing at the hands of the North Carolina Courage mid-week). Clearly, Chelsey Bush and Claire Watkins had a lot to talk about in how Chicago put it all together, whether or not Sky Blue is improving, the value of Christen Press, and the Pride's highs and lows. They also answered your Twitter questions! Games! Soccer games to discuss! NWSL is back, and the Equalizer Podcast Team could not be more thrilled. North Carolina and Chicago drew at 1-1, Washington beat Sky Blue 2-0, Portland downed Orlando 2-0 and the Houston Dash tied Reign FC at, you guessed it, 1-1. This week Dan Lauletta, Claire Watkins, and Chelsey Bush were here to talk pace, tactics, players, and...kits! The squad talked through whether Washington is ready for the big leagues, if Chicago hedged too many bets against last year's champs, how Houston seems like a squad of years past and if Orlando can get themselves figured out quickly enough to factor dangerously into this season. They also talk streaming, shirts, and the answering of Twitter questions (yours). Welcome back for the second half of The Equalizer Podcast Team's epic NWSL preview episode, this time checking in with Dan Lauletta and John Halloran about how the Chicago Red Stars are going to get their midfield to work, whether or not the league is ready to utilize a World Cup year to their advantage, and what exactly watching league games is going to look like with no TV deal currently in place. And then, it's prediction time! Dan, John, Chelsey, and Claire all break down their 2019 playoff teams, champs, MVP's, and much much more. The picks might not be perfect by the end of the season, but what's sports without some wild speculation into the future. Finally! The 2019 NWSL season is upon us, with mainstays looking to stay at the top of the table, and challengers ready to shake the standings up and make a push into the playoffs. The Equalizer Podcast Team is here to break all of it down, starting with Dan Lauletta and Chelsey Bush talking about what last year's playoff contenders need to do to keep their momentum in 2019. Later, Dan and Claire Watkins talk about what the other teams in the league need to do to surge into post-season contention, and perhaps most importantly in a Word Cup year, when in the year top squads might be vulnerable to dropped points. Stay tuned for Part II with John Halloran and the whole squad's 2019 predictions later this week! Wow, what a different kind of game. The U.S. Women's National Team smashed the Belgium Red Devils on Sunday night 6-0 behind goals from Carli Lloyd (x2), Alex Morgan, Lindsey Horan, Sam Mewis, and Jessica McDonald. Ali Krieger saw her first playing time in almost two years, and the vision for the final World Cup roster is coming into view. Right after the match Chelsey Bush and Claire Watkins sat down to see what takeaways could be gleaned from such a lopsided performance, and to discuss the bigger picture of a USWNT game turning into a flashy LA event. Wow, what a game. The U.S. Women's National Team defeated The Matilda's 5-3 on Thursday evening, showing the best and the worst of the way the team is set up right now. With fewer than 70 days between now and World Cup kickoff, the Equalizer Podcast Team is trying to break down exactly what occurred. Claire Watkins and Jeff Kassouf talk midfield formations, defensive personnel, and what's going right in addition to what's going wrong for the U.S. and what Australia can take away from a tough match against the world's best. NWSL Preseason is rolling on, and the Equalizer Podcast Team is here to discuss who's thriving, and who's having trouble making an impact. This week Dan Lauletta, Claire Watkins, and Chelsey Bush talk through Sky Blue's injury woes, and wonder who's going to fill out their starting lineup in the wake of some hits to their depth. They also circle back to the pickup of Taylor Smith by Reign FC, and talk salary and roster philosophies surrounding de-allocation. Later, Claire gives a follow-up on the state of the Portland Thorns, Reign FC, and the Chicago Red Stars after seeing a few more Portland Invitational games, and the crew wonders what, after an extensive camp, they're going to see from the U.S. Women's National Team in their matchup against Australia. They also answer your Twitter questions, including which NWSL teams could use the talents of one of college basketball's top point guards (yes, we're talking about Sabrina). NWSL preseason is heating up, the U.S. Women's National Team dropped some roster bombs, and the Equalizer Podcast Team is ready to get things started. This week, Claire Watkins, John Halloran, and Katelyn Best met up in person after the first round of the Portland Invitational to talk about what they saw from Reign FC's 2-1 victory vs the U.S. U-23's and the Portland Thorns' similar scoreline against the Chicago Red Stars. They also discussed the surprise re-calling of Ali Krieger to the USWNT, wondered if the U.S. midfield knows what its job is, and as always, answered your burning questions from Twitter. The Equalizer Podcast theme music is First Conversations by Scout Ripley. The 2019 SheBelieves Cup left the U.S. women's national team with more questions than answers, so the Equalizer Podcast Team took a deep breath, reflected on the tournament, and came up with all the ways they could improve the situation. This week Dan Lauletta, Chelsey Bush, and John Halloran put their heads together to figure out what exactly the USWNT can do about that midfield, and how they can shore up a shaky defense to back up a well-tuned offense. They also tackle the delicate issue of the gender discrimination lawsuit brought by current USWNT players against U.S. Soccer Federation, and as always, do their best to answer your burning questions. The USWNT wrapped up their 2019 SheBelieves campaign this evening with a 1-0 victory over Brazil, and the Equalizer Team was ready and waiting to pod about it. Chelsey Bush and Claire Watkins broke down the feeling immediately after the match, asked whether the tough questions are going to be answered, and looked at both strong and weaker performances. The U.S. women's national team has had an interesting run so far in the 2019 SheBelieves Tournament, with consecutive 2-2 draws against Japan and England showing the team having some difficulty in separating themselves from their competition. In their own right, the Equalizer Podcast Team considers themselves match-fit, and ready to determine whether or not the USWNT should be too concerned with their current form. This week, Chelsey Bush, Claire Watkins, and John Halloran break down who's doing well for the U.S., who is struggling, and what exactly Jill Ellis is trying to do with all of the U.S. formation shifting in 2019. They also take a look at the tourneys being played across the globe, featuring heavy hitters like Australia (looking good!) and Canada (not so sure!). They also, as always, take a shot at your Twitter questions. The U.S. Women's National Team started their 2019 SheBelieves campaign this evening, with a 2-2 draw against Japan behind goals from Megan Rapinoe and Alex Morgan. The Equalizer team showed out in full force in Chester, PA, and Jeff Kassouf and Dan Lauletta were there in the aftermath of the match to break down their first reactions of an inconsistent USWNT performance. When breaking news drops, the Equalizer Podcast Team is on the job, and this midweek emergency pod is no different. In this episode Dan Lauletta and Chelsey Bush try to make sense of A+E's sudden divorce from the NWSL, the expectations for game coverage in 2019, what the original deal brought to the table, and what the league should do now. And in usual fashion, they answered some of your questions. The W-League season ended with a bang, and the NWSL pre-season is just weeks away, so where is the schedule exactly? This week, Chelsey Bush, John Halloran, and Claire Watkins break down the W-League Grand Final, where it might lead its American stars in the future, before turning their attention to the 2019 NWSL season. They also discuss the U.S. Women's National Team SheBelieves Cup roster (Morgan Brian out, Danny Colaprico in, Allie Long somewhere in between), and as always do their best to tackle your burning questions! It's been a week of significant news, and the Equalizer Podcast Team is on the case! This week, Dan Lauletta, Chelsey Bush and Claire Watkins dive in to uncover the history behind Reign FC's move to Tacoma, the W-League's roll towards the post-season, and Sky Blue's journey toward their self-imposed 30 day deadline. Tune in to see who's on board! Beast Mode Soccer's David Copeland-Smith is one of the most well-known soccer trainers in the U.S. He works with and has helped develop international players from Alex Morgan to Rachel Daly and Ali Riley. Dave stopped by to share some of his funniest stories and fondest memories of training players who many fans have come to adore. Former Houston Dash goalkeeper Haley Carter joins the podcast to discuss her time as an assistant coach with the Afghanistan women's national team, the reform needed at the federation following allegations of player abuse, and the barriers facing women in coaching. Monica Gonzalez was recently appointed as an assistant coach on new Houston Dash head coach James Clarkson's staff. Gonzalez is a former professional player and international player with the Mexican women's national team. She also has extensive experience as a TV broadcaster in the men's and women's game. Gonzalez joined The Equalizer Podcast to discuss her transition into professional coaching, a move she has long wanted to make. In this weeks episode, the Equalizer Podcast Team (this week: Dan Lauletta, Claire Watkins, and Kieran Theivam) take a look at the U.S. Women's National Team win against Spain, the continuously curious case of Australia National Team upheaval, and ongoing issues with Sky Blue FC, which might have just as many issues on the field as they do off of it. 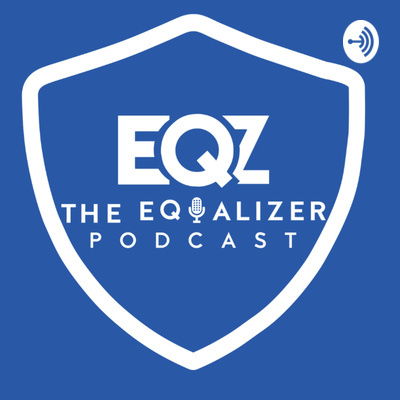 Former U.S. men's national team defender and Fox Sports studio analyst Alexi Lalas joins The Equalizer Podcast for a discussion on how he covers the women's game the same way he covers the men's game, plus his thoughts on the United States' chances at the 2019 World Cup. NWSL Players Association president Yael Averbuch joins the podcast to discuss the recent unionization of the PA, her immediate playing future as she works to get healthy, and her passion for her training business, Techne Futbol. Utah Royals FC coach Laura Harvey joins Chelsey and Dan to discuss the process of building her roster -- including the long pursuit of Christen Press -- and how the league can make itself better by being more transparent. The 2019 NWSL College Draft has come and gone, with some teams making some major moves, while others sat the whole thing out entirely. Regardless, there's plenty to talk about! Lesle Gallimore is the longtime head coach of the University of Washington women's soccer program and board member of the United Soccer Coaches. In 2018, she served as president of the United Soccer Coaches. She joined The Equalizer Podcast in her final days as president to discuss the year that was and the challenges women face in the coaching industry. Orlando Pride defender Ali Krieger joins The Equalizer on Podcast Row at the 2019 United Soccer Coaches Convention in Chicago. Ali shares her plans for pursuing a coaching career after she is done playing, what the Orlando Pride need to do in order to improve upon a poor 2018 showing, and how the National Women's Soccer League could better market to adult fans.